DENVER, CO–(Marketwire – Mar 27, 2012) – Octa™ (https://www.octa.com), a creator of iPad accessories, today announced that its debut product line is compatible with the new iPad. The line ushers in a new category of iPad accessories the company has labeled “grip and positioning systems,” providing combined iPad stands and iPad handles. The TabletTail™ product line is comprised of a two-part system: the Vacuum Dock + WhaleTail. The Vacuum Dock is a comfortably-shaped grip with a convenient low-angle iPad stand. When attached to the Vacuum Dock, the WhaleTail becomes a robust stand, providing a full range of viewing and typing angles even on the most unexpected surfaces. 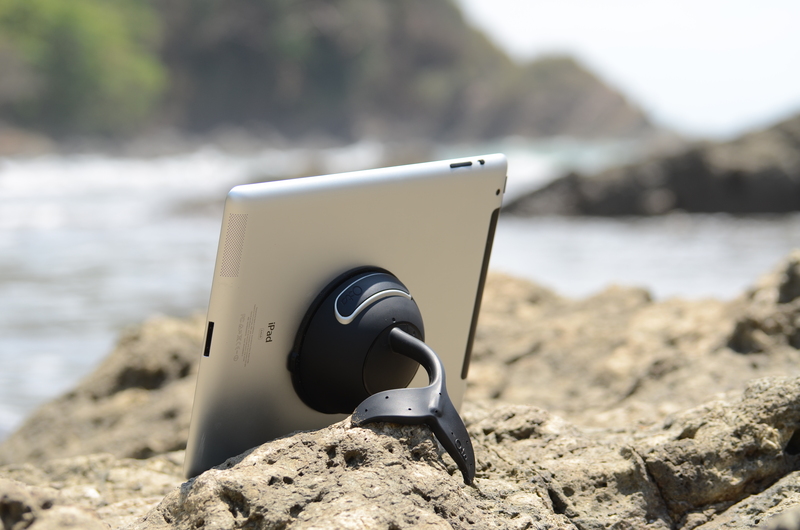 The WhaleTail doubles as an iPad handle, adding security and ease of movement. The WhaleTail is priced at $49.95. Additional docks and interchangeable tails will be released throughout 2012 and beyond. For more information, visit https://www.octa.com. Octa creates distinctive iPad accessories that make the digital experience more enjoyable. The creation of Prometheus Trotsky and Nikki Braziel, Octa was born from their combined love of technology and natural form. The team is comprised of a small group of artists, engineers, and inventors, constantly striving to combine beauty and functionality. They maintain a creative environment by combining work and playfulness in their Denver headquarters.